This is one of a series of documents introducing Joomla! 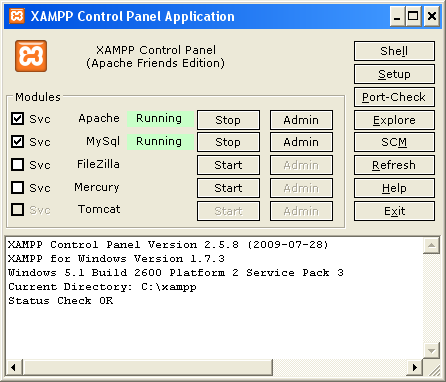 version 1.5. 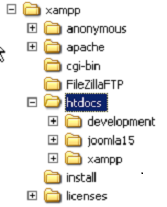 Create a folder under htdocs to contain the Joomla! files. (It can have any name but Joomla15 is often used for example sites). If you called the file something else - then use the name of that file instead of 'joomla15'. Set a password for the user name for the database. Use something you will remember! Database name - this is the name of this instance of Joomla! - in the example here use joomla15. If you used a different name - use that here for the database name. There is some documentation about using this data in the Further information at the end of this document. The button will then read 'Sample data installed successfullly'. It is slightly confusing as you might expect it to take longer. 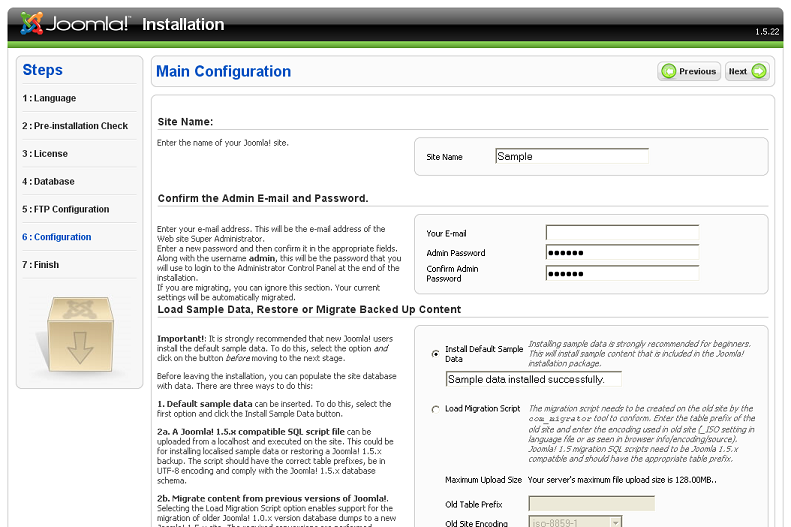 You can install and configure another instance of Joomla! using a different name. You do not need to download it again as it is already in your download folder. 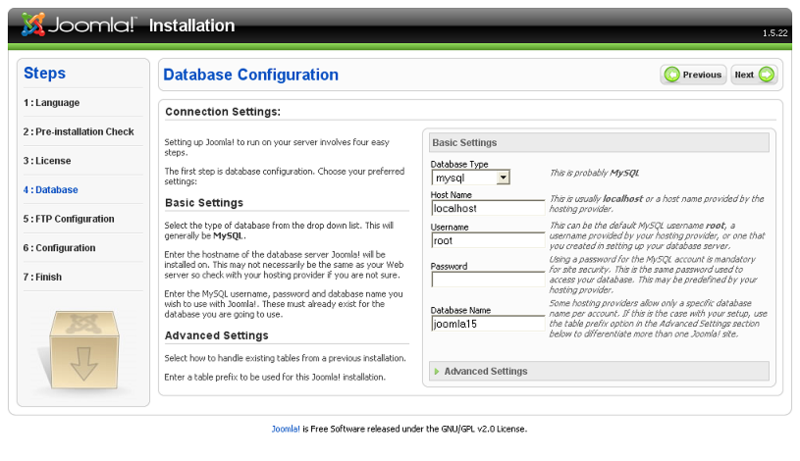 The set up stages are the same - except that the database will need the name of the site. 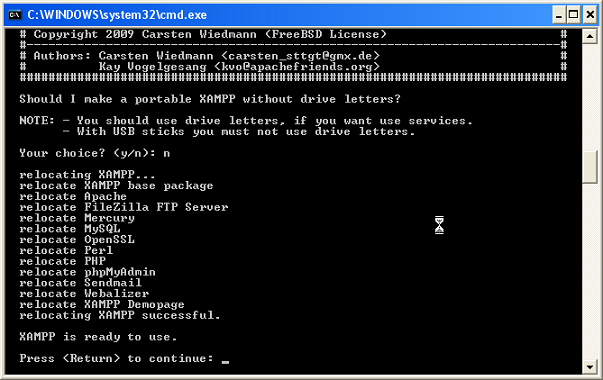 And do not enter a password for mySQL root if there is a database error. Help with installation and creating your own content. This is the very useful Quick Start Guide. Make sure you look at this alongside this tutorial. Using the sample data. This has details about the sample data and what you can learn from it.